Time for another of my sporadic blog posts, in which I allow myself the luxury of waffling on for longer than your average tweet or instagram comment will allow. This is the first blog post of the year, because I’m terrible. I’ll begin in January with the clear highlight, ‘Talk & Play’. Talk & Play is an event run by BerlinGameScene.com, and at they were kind enough to invite me to present Sentenced. It’s a general gaming event that is open to the public. They host a few games related talks, followed by some game-pitches from indie-developers such as myself, as well as various community and job-related announcements. After that, attendees are free to play various games for themselves on the show floor. I had agreed to give a speed pitch, as well as have Sentenced playable. I was rather nervous before going on-stage, as it’s been a few years since I gave a presentation in front of a crowd. In addition, being so close to this project and pouring my heart and soul into it day after day lends me an extra feeling of vulnerability about exposing it to the big wide world. 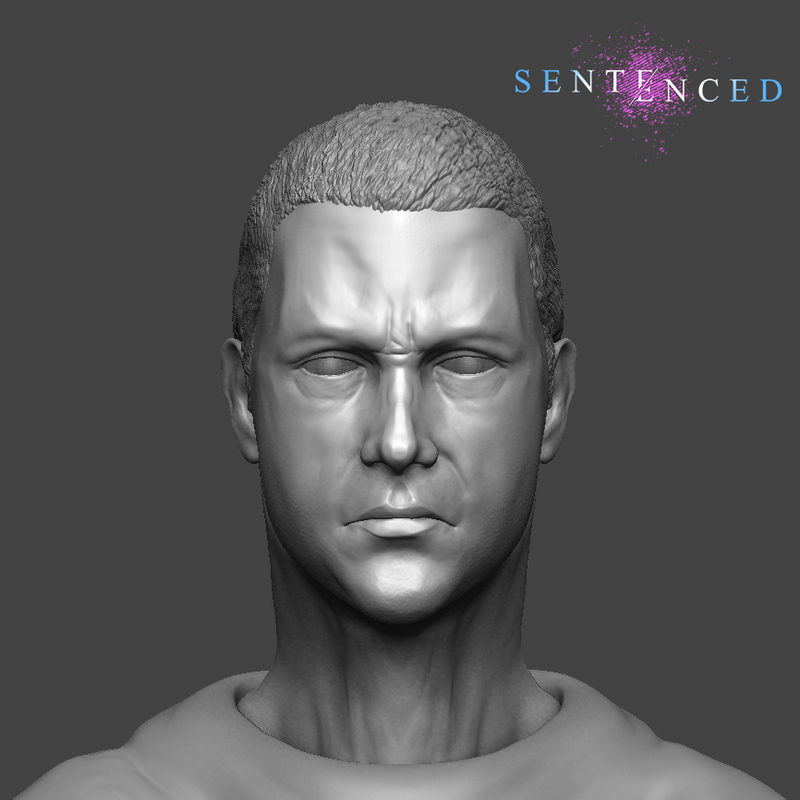 Sentenced being a fairly high-concept game, means I also have to be careful explaining and presenting it, lest it come across as a callous or vulgar beheading simulator. I need to make sure to convey the deeper meaning of conscience in conflict with obedience to authority, and so it requires a somewhat more nuanced sell to avoid giving people the wrong impression. In addition, working so closely on the game makes me hyper-sensitive to all its flaws and imperfections. Whenever people don’t notice bits of sketchy animation or unfinished art, I feel like I’ve gotten away with murder. Anyway, once I got on stage and gave my pitch, all my nerves vanished as usual and I was fine. The resulting feelings of relief and satisfaction put me on a high for the rest of the evening. Afterwards, I set up the game, which proved to be a big success! All evening people were queuing to play, and there was even an interested crowd gathered to watch others play. As one attendee pointed out, it was almost like a real crowd gathered to watch a public execution, thus adding another dynamic to the pressure to perform on the player. I was pleased to see that those who played the game did not seem to lean heavily to either carrying out the execution, or to refusing to comply. There seemed to be a fairly even split between the two, which showed me that the game is on-track in terms of emotional balance, with different people feeling different ways about what they were being asked to do. I’d like to add that the feeling of watching other people enjoy something that I had made was indescribably wonderful. To see the game triggering complex emotional responses was tremendously validating and encouraging. I also had some fantastic conversations with those who had played it afterwards about social psychology and the politics of obedience, which demonstrates that the game is doing it’s job in making people think. Just remembering that evening as I write fills me with a warm glow! In February I went on a little pilgrimage I’d been wanting to do for some time. During my historical research, one figure who stood out to me was that of Meister Franz Schmidt, executioner of Nuremberg 1578 to 1617. He wrote a professional diary, uncommon for a man of his status in that era, which has become a renowned primary source for historians of crime and punishment in the early modern period. Joel F Harrington’s book about him, ‘The Faithful Executioner’, was a huge influence on the setting and tone of the game. Being in Germany, I wanted to take a trip to walk in the footsteps of the Meister himself. The train to Nuremberg from Berlin took about three and a half hours, and I can report that Nuremberg is an outstandingly beautiful medieval city, as you will see in my pictures below. Unfortunately, it turned out that not only was Franz Schmidt’s house closed for the winter, but also the dungeon where he would torture confessions out of people (known delightfully as ‘The Hole’) was unexpectedly closed for renovations. Bad luck and poor planning on my part I suppose. Nonetheless, I got to stroll along the Pegnitz river and cross the famous Hangman’s Bridge, and for a little while imagine what it must have been like to live in those turbulent and lawless times. Project-wise I’ve moved on from working on the execution scene to making the Beadle’s office, where players will be paid and assessed on their performance. The main bulk of assets are now done, and soon I’ll be out of the R&D phase on the game and into a new phase of propagating what I’ve already made into more execution scenarios. Financially, I’m doing alright for now, but I suspect that I will not have enough money to hire professional voice actors for the game, which I consider an absolute requirement seeing how central to the experience the player’s sense of connection to in-game characters is. As such, I’m currently looking for funding from external sources such as the UK Games Fund, but if I’m not successful in this then I may have to consider extending the deadline for the game and going back to work to save up some more cash. We shall see. 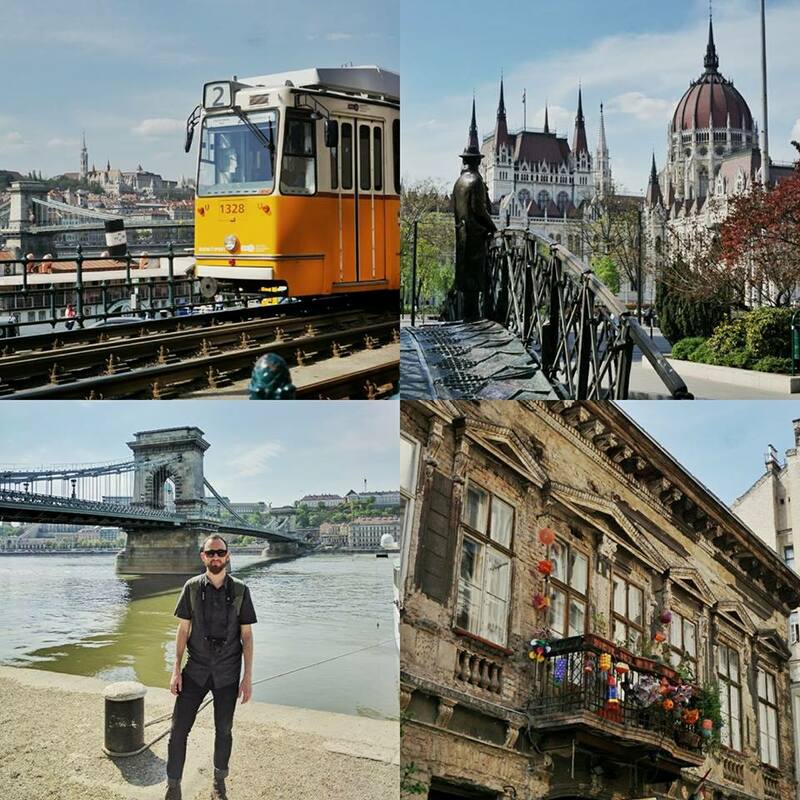 Since Budapest it’s been somewhat quiet here on the Phantom Magazine front, so I figured it’s past time for another bloggy little update. When I returned to London at the start of June I was optimistic regarding the amount of work I’d be able to get done, but life had other plans. First, I decided to give myself a week off to cool down after the intensity of Budapest. I met old friends, partied, and lived in London as a simple tourist, something I’ve not been able to do much in the past thanks to the old 9-6 job. It’s worth noting that in my first week back in London I spent more money than I did during my entire second month in Budapest. I was sharing a pleasant but somewhat diminutive flat with some folks in Dalston, which meant I was lacking the minimum 2 x 1.5 metre floor space required to set up my Vive. This meant I had to put coding and testing tasks on hold and focus on modelling and texturing. This wasn’t a problem, as there are more than enough assets to occupy my time. I decided to pick up the daunting task of modelling a streets-worth of low-poly houses to populate the town with. However, in a somewhat impulsive decision I ended up flying to Los Angeles to spend one last week with the lover I’d broken up with before Budapest. I suppose it got in the way of work progress, but to live unable to act on occasional romantic whim is to not live at all. Chilling at Griffith Observatory in L.A.
On my return, I had a friend visit from Budapest, which was a further (though welcome) distraction. I did eventually succeed in finishing my house models, as pictured below, and also made a few props and textures for the dockside. Before I knew it the last grain of sand had slipped through the hourglass and it was time to leave London. I packed my things (again), and said one more goodbye to that ancient and smoggy city I love. I write this from my father’s computer back in my hometown as I count down my last few days before I hop on the plane to New Zealand for to start my work contract with Weta Digital. I’d love to carry on working on Sentenced full time, but the reality is that I need money to live off of while I do it. After my ten-and-a-half month contract is up, I intend to move back to Europe and live off my Weta savings for a year and go full-time with my VR dev, finishing off Sentenced if it’s not already done by then, and starting my next project. For now my immediate challenge will be to balance work on Sentenced with having a full time job again, but as always, I’ll take each day as it comes and find a way to make it all work. Just gotta go with the gravity flow of that cosmic jazz! It's all Jazz - I shot this in a swing dance bar somewhere in L.A. It's been eight weeks already! Oh my, how time flies. I will soon be bidding Budapest bye-bye, and so I think it's time to do a summary post. Let’s reflect, and look back on what we've learned. My time working on sentenced has been as much about learning as doing. As a result, I’m behind on my initial plan, but I’ve picked up some useful skills that I didn’t have before, especially when it comes to logic and scripting. I’ll never look at a AAA videogame again without marvelling at the sheer amount of work it must take. Nevertheless, I’m extremely proud of what I’ve done so far. It’s been harder to stop working and spend time as a tourist here. I’m incredibly passionate about this game, I believe in the idea, and I’m having fun making it. What could be better? Following my own creative vision feels so fulfilling that I really can’t put it into words. I wish I could do this forever, but hey, gotta bring in them dollaz. At least I’ve got another month of full production in London before I need to take on paid work again. Simply put, if I don’t tell people I’m making this game, nobody will play it. Interest has been growing somewhat since I started posting the artwork online, and if anything a slightly protracted development might give me more time to build up interest. However, growth is still slow, so retweet me I will do anything, pleeeeaseee. The longer I spend in this city, the more I find. There are so many cool bars, restaurants and friendly people, it’s a city with real depth. There’s no way you can see it in a weekend getaway… if you visit Budapest, visit for longer. Before I made this trip, I wanted to discover two things. Firstly, is it really feasible to quit my job and live off my meagre savings for an extended period of time? Yes, it absolutely is. Budapest turned out to be a great choice; as the cost of living is so low, my £ stretched pretty far. After Brexit this plan might not be as viable, but we’ll have to wait and see with that one. Secondly, I wanted to discover if I could actually make a VR game on my own. The answer, once again, is absolutely YES. In the last few weeks, since I added in character models and animations, the game is starting to have the effect I dreamed it would when I had the idea late last year. Standing in front of Convict A, he really feels like a living, person. It’s uncanny, and frankly the results are far better than I thought I’d be able to achieve on my own. I gave a demo of the most recent build to a friend last night, and she was genuinely reluctant to behead poor Convict A. Which is good, because it means that the game is affecting her, and this is what I want to explore with VR. There are plenty of people making horror games, shooter games or sports games, but I want to challenge the emergent psychology we’ll see in a world with VR. That’s my niche, and I can’t wait to see this project to completion. So, without further ado, here’s the result of my first eight weeks working on my first computer game. I recorded some new dialogue to better represent the tone and feel of the game. Enjoy! The big news is that I’ve decided to accept a VFX job at Weta studios, the company who made The Lord of the Rings, a film series which influenced my life more than any other during my formative years. Therefore, at the beginning of July I’ll be flying out to New Zealand for about 10 and a half months. It’s an important step, because after analysing my budgeting for my time here in Budapest (more detail further down), I realised that if I took another well-paid job then I'd be able to theoretically support myself like this for an entire year on my savings. Good news in the long-term for the Phantom Magazine, and of course, I’ll continue working like the below donkey to get Sentenced finished in my spare time. This also gives me another full month to work on Sentenced, so we can silence that ‘time’s up’ Klaxon for now. Does anyone remember Pat Sharp’s Fun House, where they would get covered in a bucket of gunge when time ran out? That’s how I feel, gunge bucket hanging above me like a ‘90’s version of the Sword of Damocles. Anyway, I’ve decided to take a flat in London for June, because I have a few commitments there that I need to take care of, such as voting in the general election and getting my tattoo finished. So back to the budgeting. My biggest expenses have been tools for the game and rent. I’ve spent a reasonable amount of money in the Unity Asset store, about £250. I’m planning on writing a blog post detailing these tools soon, in case it’s useful or interesting for anyone. Food and drink here are very cheap, so I’ve been saving a lot of money that way. Overall, I’m realising what a bogglingly expensive place to live London really was for me, and in reality I could live like this for much longer before I run out of money. In terms of Sentenced, it’s been another week of art. I put a fair bit of time into figuring out the best way to paint texture variation into my environments. I found a great vertex painting tool in the Unity Asset store, ‘Vertex Tools Pro’, which, combined with the tileable textures I’ve been generating in Substance Designer, give me a great way of painting variation into the large continuous surfaces in the game such as the ground and castle walls. I also tackled the first of the main characters in the game, the Executioner’s sword. Texture variation on the ground and castle walls. According to my historical source and bible, ‘The Faithful Executioner’, by Joel F. Harrington, Executioner’s swords were traditionally decorative and bore a unique inscription. ‘The Lords prosecute, I execute’, is a direct translation of a Germanic inscription from the early-modern period. A few other examples I found include ‘Through justice will the land prosper and thrive; in lawlessness it will not survive’, ‘Guard thyself from evil deeds, else thy path to the gallows leads’, and ‘Ich Schone Niemand (I Spare No-one’). I chose ‘The Lords prosecute, I execute’, because I felt that it was a good fit thematically - remember, you’re the executioner, not the judge. All you need to do is keep following orders. What a beautiful day! 22 degrees and sun is out, the air cool and breezy after a week of thunder and lightning. Last night I danced until sunrise, the vibrating bass of Bicep’s electro shaking away the cobwebs and massaging out the stress. I woke up at 3pm and went out for a long stroll, feeling confident with my sleeves rolled up in the warm weather, airing my new tattoo. I just returned to the flat, it’s early evening now, and I thought I’d get my weekly blog post in while I’m feeling peaceful and content. After over a month here, I really feel that starting to get beneath the skin of Budapest, making real friends and moving beyond the beaten tourist tracks. The city and it’s people can seem somewhat dour at first, but as with anywhere, the vibrancy, creativity and welcome are always waiting, and eventually bubble up to make a city feel like home. After saying goodbye to my friend Henning on Monday, who had been visiting last weekend, It was time to get stuck into the art of my project. The beginning of the week was a little mired in tutorials for Substance Painter & Designer, which I’ll be using to create the textures and materials of Sentenced, but it was all worthwhile, and the softwares are a huge amount of fun to use. I also made a spreadsheet listing all the assets I’ll need to create on the project, to help organise myself. Unfortunately, due to it’s size and my liberal use of the colour red, it has only served to exacerbate my anxiety rather than assuage it, but hey, Rome wasn’t built in a day. For the last year, my life in London had become a debaucherous blend of alcohol, takeaway dinner, fine food & love, which while fun is pretty disastrous for one’s health, so I’ve gotten back into running again. While I wasn't overweight, I was definitely more tired most of the time than I should have been due to the sedentary nature of my work, but I can begin to feel my body coming alive again. It’s good to have time for some self development! Someone remind me who decided we needed eight hours of work, five days a week again? Next week: more art on Sentenced, and my family visit for the weekend. Time for the Phantom Magazine weekly roundup! You’ll have to forgive me for being a little overdue, I was just too darned busy last week, so bite me! My third week saw me getting over the dregs of my cold, which ended up a right old rotter, lingering like a house party guest at 10am the morning after when all you want is to be grumpy and hungover. Sniffles are no excuse for idleness however, so I spent the week programming ‘contingencies’, a.k.a all the weird things that the player might do. This includes, but is not limited to, throwing the sword out of the play-area, killing the Magistrate instead of the convict, or golfing the decapitated head into the crowd (unprofessional). I also managed to get the narrative structure of the game together, as demonstrated in the video below. You’ll have to endure the placeholder dialogue that I recorded myself. Don’t worry, the final voice acting will be more, um, professional. We begin with the magistrate giving the newly hired executioner (the player) some instruction, and then move to the first execution scenario. This is followed by an ‘appraisal’ scene, where the magistrate judges the player’s performance and pays the executioner. Pay could be considered the game’s ‘score’, though as player progression may tell, aiming for a high score might not be for the best. I‘m actually realising that I’ve now overcome most of the coding obstacles and unknowns that faced me at the beginning of this project. I know that I was being a bit over-optimistic to think I’d get most of the game done in two months, but I’m still feeling very proud of what I’ve done so far. Though there’s still more coding to do, for the next couple of weeks I’m going to start focusing on the art. Though I’ve gotten surprisingly attached to Testman, he’s just not good-looking enough to make the final cut. Sorry Testman! Gird your loins! This one’s going to be angsty! After working all last weekend I decided to give myself a bit of time off to relax and explore on Monday and Tuesday, something I’d really needed. I finally explored Buda, the region of the city west of the Danube, with expert guidance from a local Budepester. It’s a strange, hilly realm of ornate baroque castles, churches, museums, and quaint streets filled with tour-guided herds. The import thing is that it wasn’t a total write off - I’ve got the actual game mechanics working correctly. The game can now judge if a decapitation is successful or not depending on how hard the player swings the sword, and the also decide how well-performed the execution was, based on how many strokes it took. In the instance that players want to mess around and just poke the convict with the sword (which they will because people are silly), this will also negatively affect the performance and potentially lead to the executioner being fired by his superiors. In other news, all this being sick and not being able to go out gave me time to finish playing Zelda (always good to be the Hero of Hyrule when you’re feeling down), and to finally get around to reading the childhood memoirs of my Scottish Great-Grandfather, David Gordon. It was fascinating to read the childhood recollections of a man who grew up in very different circumstances to myself. Raised in a fishing community in Peterhead, the Easternmost point of the Scottish mainland, and later St.Monans, he talks of being taught to sing in a choir through the age old method of being hit with a horse strap if he sang badly, and tells the tale of his Grandfather’s (my Great Great Great Grandfather’s) whaling expedition to the North, where he and his cousin had adventures such as a run in with an angry Polar Bear while hunting for Fox Fur in Greenland. Later, during his time his time in the Great War he served with the a cavalry regiment, the Royal Scots Greys. He talks of time spent in London between stations in 1917, and of how he admired the architecture of St.Pauls Cathedral when he visited. I’ve spent time gazing up at this magnificent building myself, one of my favourites in London, particularly the view of it on the skyline from the Golden Jubilee bridge. Strange to think of this distant relation in the same place almost exactly one hundred years ago, thinking and feeling the same as me. I’m getting over my cold now, so it’s time to stop looking and feeling like King Theoden in the scene just before Gandalf comes along and shapes him up. Tonight I’ll go out and reconnect with humanity, and hope for a more lively third week. Oh yea, and Happy Easter. Well, here I am folks, living it up in Budapest, working hard and playing hard! Week one is officially over. On the whole I’ve steered clear of the tourist trail; no museums, galleries, or thermal baths yet, but that’s the joy of being here for several months… I can savour the city like a fine wine, sip by sip. Most of my sightseeing has taken the form of wandering the city with my camera, observing the beautiful Baroque and Neo-Renaissance architecture, and stopping for street food and coffee. Budapest an astoundingly beautiful city, and I think I’ll be happy during my time here. Most of the week was eaten up by my work. I’m very excited to have officially begin production on Sentenced, though it turns out I’m my own worst producer. I’ve been researching tools, mocking up interactions, and coding. I want the convicted men and women of the game to behave as physically realistically as possible in order to enhance the empathy the player might feel for them. Currently I’m trying to get them react according to where they are struck and how hard. It’s proven to be more of a challenge than I anticipated, but I’m sure that’s not the last time I’ll say those words before the project is done. I’m hoping to have a working beheadable model by some point early next week. A test from earlier in the week. Ragdoll works. On the social side of things, I’ve found my comfortable Englishman-abroad method of interacting with people - open with ‘Szia’, (hi), gesture and babble in English until we reach an understanding, finish with a ‘köszönöm’ (thanks). Most people I’ve encountered speak very good English, and I’ve been visiting a nearby Hostel bar and meeting a nice variety of friendly travellers and drinking too much with them. Being able to work in the way that’s best for me on my own passion has been incredible liberating. I can dictate my own schedule, which so far has taken the form of sleeping late into the mornings, and working late into the night. I’ve had no problems motivating myself… in fact, I probably should be giving myself more free time to enjoy the city. 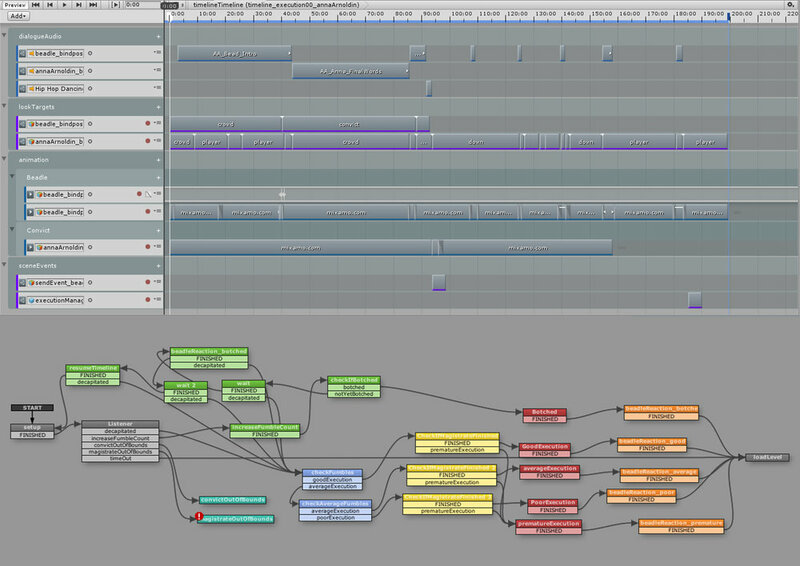 Still, the deeper I delve into development, the more I realise how much work is ahead of me. The thought is almost overwhelming, but as long as I keep my eyes focused ahead, I should be fine. It's me and my winning Hostel Triva team! Just four days to go until my journey begins! By this time next week, I will have finished at Industrial Light & Magic and have started development on 'Sentenced' in Budapest. I don’t just want this blog to be about game development. 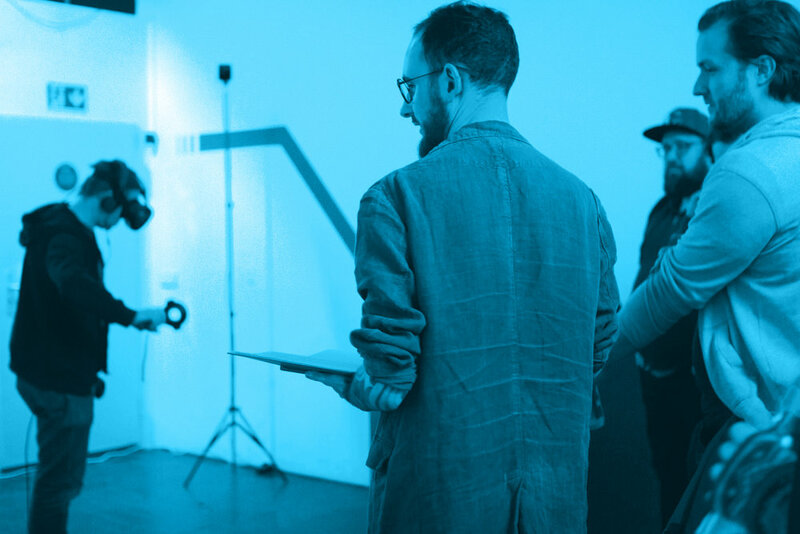 Choosing to quit VFX (for now) and follow my dream is a big decision for me, so I want keep a series of personal, diary-style blogs along the way to document the experience. To put it mildly, it's been an emotional week. I had a goodbye party with my wonderful friends, who I’ll miss terribly, and afterwards I spent a few days by the seaside with my girlfriend. As it's unlikely I’ll be returning to London after Budapest, and she’s going home to California, we decided to split as neither of us wants the heartache of a transatlantic relationship. We knew it was coming, but that doesn't make it any easier. This mix of simmering adventurous excitement and farewell melancholy has got me feeling retrospective. I keep expecting someone to stop me and say ‘Sam! What are you doing? You’ve gone mad!’ but nobody has. I’m beginning to think that my they might simply believe in me. Like many of my generation, I was sold a very by-the-numbers template of how my life would (or should) pan out. I would study hard, get good grades, and make it into a decent university. My education would secure me a well paid job, I’d use the money from THAT to pay off my student debt, take out a mortgage, then presumably rinse and repeat until retirement, whereupon I would live off my pension until dead. Oh, and along the way, I’d fall in love, get married, and have children. I need variety, change and surprise. If I’m doing the same thing for too long, I become frustrated. To be happy, I need to be doing or making something new. As Neil Gaiman once said, “Do anything when it feels like an adventure, and stop when it feels like work”. There is no correct way to live. The study/work/retire/die dream of my parent’s generation is increasingly difficult to achieve (especially in London) due to increasing property prices, crippling education costs and a rising retirement age. And if I were to really ask myself, do I even want to be tied to a property mortgage, spending the best years of my life working towards a retirement that I’ll be too old to enjoy? No. I'll enjoy life now and do what I want, even if I fail, because the future doesn’t exist. I feel strongly in my heart that now is the right time to do this. I love Visual Effects work, but I feel the pull of Virtual Reality more strongly, so I need to take a break before passion turns to ‘work’. There’s no certain path or guaranteed success on my next step, but I know that if I stay still any longer I’ll never know. I’m ready! Here it is! First blog post here on the newly minted Phantom Magazine website. I thought I’d use this opportunity to give you a little update on my life in the present, and what lies ahead. 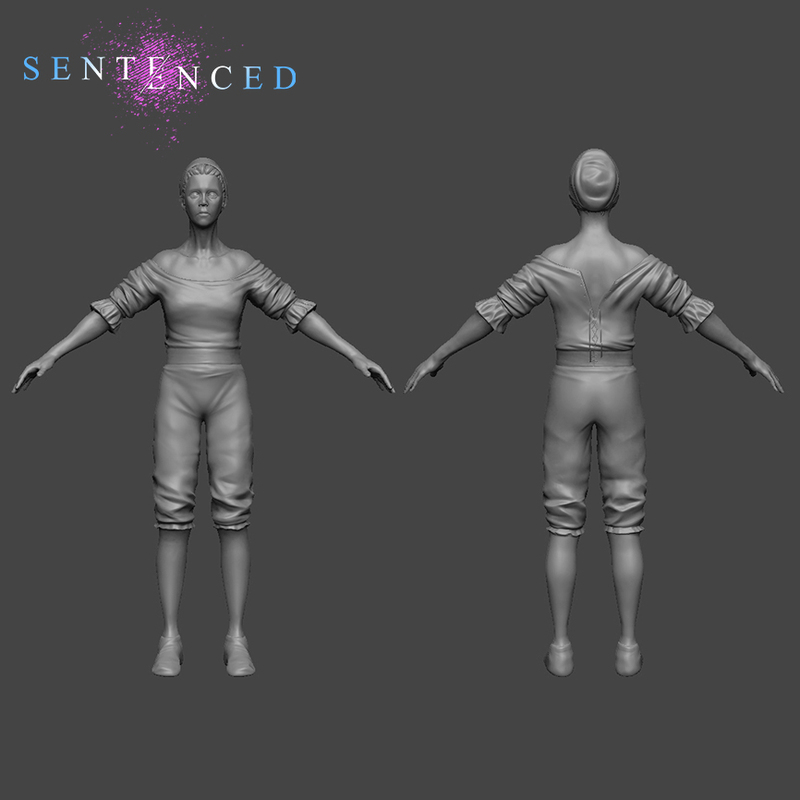 I’m ready to start development on Sentenced, my upcoming VR experience that puts you in the role of executioner for an authoritarian government. For the last six years I’ve been deeply entrenched in the Visual Effects industry. Don’t get me wrong, I love my job, but balancing a 9-6 work day with a healthy social life doesn’t leave me a lot of time for game dev. However, about one year ago, I had my first experience in Virtual Reality with HTC’s Vive, on a work-in-progress version of Star Wars: Trials on Tatooine, at my current workplace, Industrial Light & Magic. It was love at first virtual-sight. Since then, I’ve been teaching myself the mysterious and arcane ways of Virtual Reality. I bought myself a Vive. I experimented. I absorbed tutorials like Donald Trump absorbs criticism. My job specialisation in VFX is Digital Modeller, so I already had a pretty good grasp of the art & asset side of development, but my skills in programming were sorely underdeveloped. I downloaded a copy of Unity and the Playmaker visual scripting tool, and got to work filling in the gaps in my knowledge. Eventually, I arrived at the stage where I felt I was ready to put my skills to the test. Inevitably, I was up against my diabolical nemesis, Time, once again. I made the difficult decision to drop out of my secure job and take a chance with my new passion. 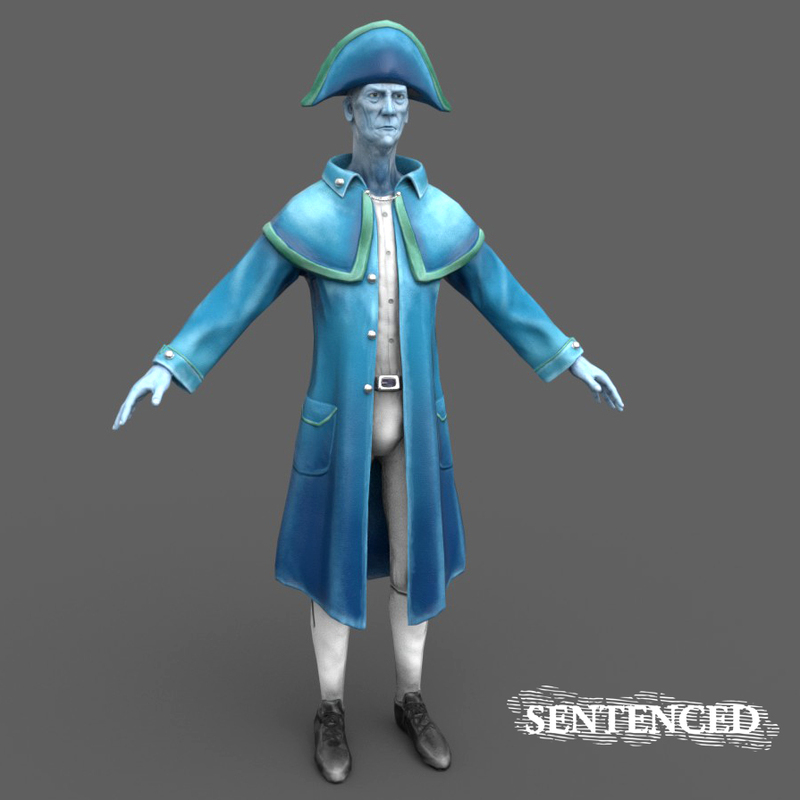 After coming up with detailed work-plan, I decided that two months was the minimum time I’d need to develop Sentenced, while living on my savings from my VFX career. Staying in London wasn’t an option I liked. It’s an extraordinarily expensive city to live in and it’s full of the lovely distractions I call my friends. And why not turn this experience into an Adventure? So I found accommodation and booked flights to Budapest, a city I’ve never visited before. As I write this, I’m preparing to moving out of my converted warehouse flat due to a fickle Landlord and a stratospheric rent increase, putting me in the role of reluctant couch surfer for the next month of March. I’ll be counting down every impatient second till April, when my flight and VR dev adventure begin. So that’s it! I’m going to keep posting here regularly, and when I start development proper in April, I’ll be keeping this blog and my twitter updated daily.